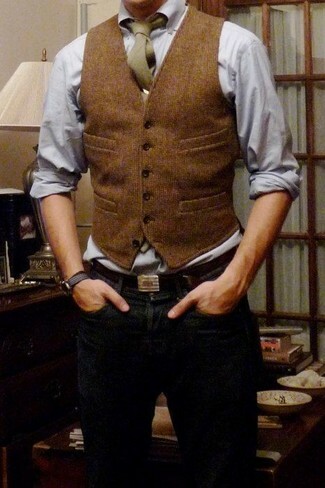 If you're in search of a casual yet seriously stylish ensemble, wear a brown wool waistcoat and a Banana Republic flannel skinny tie. Both pieces are totally comfortable and will look great paired together. 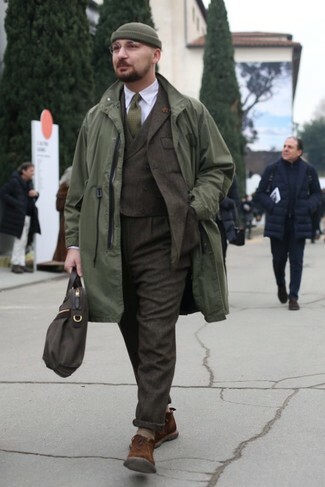 If you're a fan of functionality dressing when it comes to fashion, you'll love this simple pairing of an olive raincoat and a Banana Republic flannel skinny tie from Banana Republic. To add elegance to your ensemble, finish off with brown suede desert boots. 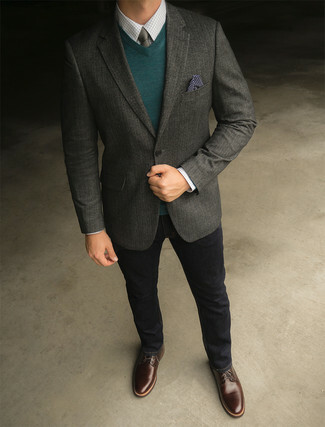 If you're a fan of relaxed dressing when it comes to fashion, you'll love this easy combo of a grey blazer and a Banana Republic flannel skinny tie. Got bored with this outfit? Enter dark brown leather derby shoes to change things up a bit. 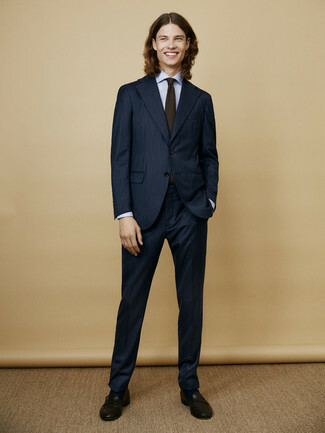 If you're after a casual yet sharp look, wear a navy vertical striped suit and a Banana Republic flannel skinny tie from Banana Republic. Both items are totally comfortable and will look great together. Play down the casualness of your look with black leather loafers. 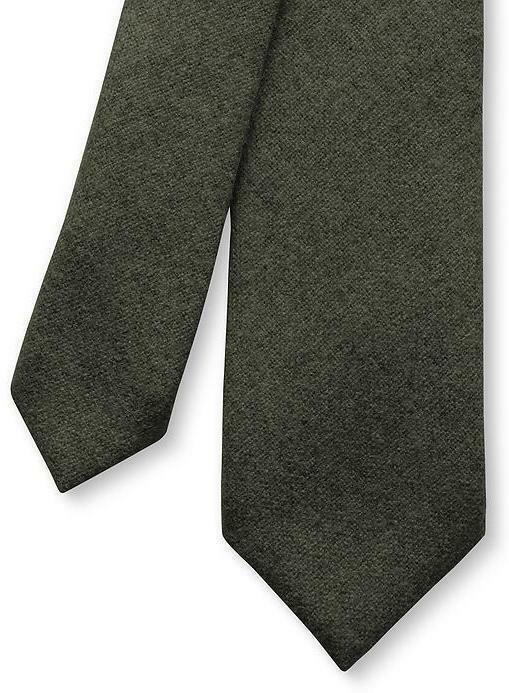 If you're in search of a casual yet stylish look, pair a beige suit with a Banana Republic flannel skinny tie. Both pieces are totally comfortable and will look great paired together. Opt for a pair of brown leather tassel loafers to take things up a notch. 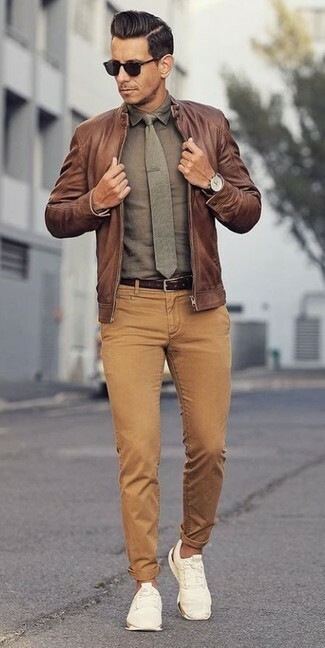 If you're a fan of practicality dressing when it comes to your personal style, you'll love this stylish combo of a brown leather bomber jacket and a Banana Republic flannel skinny tie from Banana Republic. Bring a touch of sophistication to your outfit with white low top sneakers. 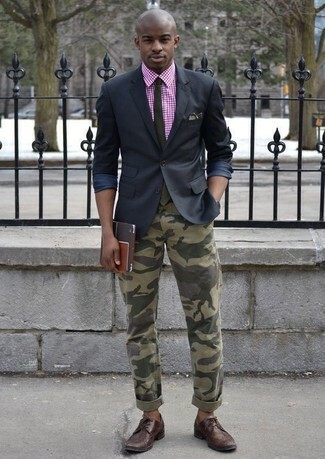 We're all looking for comfort when it comes to dressing up, and this combination of a black blazer and a Banana Republic flannel skinny tie from Banana Republic is a good illustration of that. Take a classic approach with the footwear and make dark brown leather brogues your footwear choice. Team a charcoal wool blazer with a Banana Republic flannel skinny tie for comfort dressing from head to toe. A cool pair of dark brown leather derby shoes is an easy way to upgrade your outfit. 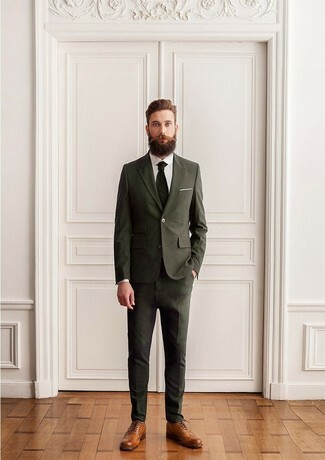 Look stylish without exerting much effort in an olive suit and a Banana Republic flannel skinny tie from Banana Republic. Brown leather brogues will instantly elevate even the laziest of looks.